We have solutions for mosquito control, so you can take back your lawn and your outdoor living areas in Charlotte. Have you noticed that the mosquitoes are particularly bad when you are in your backyard? Have you tried every store-bought option, and you and your family still can’t seem to keep these pests at bay? When you want to enjoy the outdoors, the last thing you want to worry about is mosquitoes taking over. At Carolina Turf and Mosquito, LLC, we have solutions for mosquito control, so you can take back your lawn and your outdoor living areas in Charlotte, North Carolina. One important step we can take for effective mosquito control is using an EPA (Environmental Protection Agency) approved spray as a barrier treatment. This option kills mosquitoes, fleas, ticks and their habitats, while also providing an invisible, odorless, and kid- and pet-friendly option for your lawn. We can apply this solution to shrubs, trees, mulch beds and the lawn where it bonds to the foliage where pests take up residence. Additionally, we can discuss a routine regimen that will help you achieve greater mosquito control from year-to-year. Wouldn’t it be nice to have the peace of mind that your lawn is safe for every member of your family? Our solution is effective immediately, and you can get outdoors without worry. 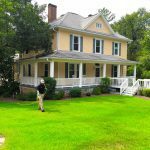 At Carolina Turf and Mosquito, LLC, we are committed to superior quality and customer service when it comes to mosquito control and all of our lawn care services. Whether you have questions about getting rid of pests or you simply need green alternatives that help you maintain a healthy lawn, we are equipped to assist you at every stage. We are a family owned and operated business that cares about your family and achieving an outdoor space that is beautiful and useful. Contact us today to learn more about mosquito control for your home in Charlotte. 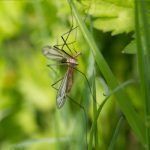 At Carolina Turf and Mosquito, LLC, we offer mosquito control services in Charlotte, Waxhaw, Weddington, Matthews, Pineville, Fort Mill, Rock Hill, Gastonia, Mint Hill, and Pineville, North Carolina.